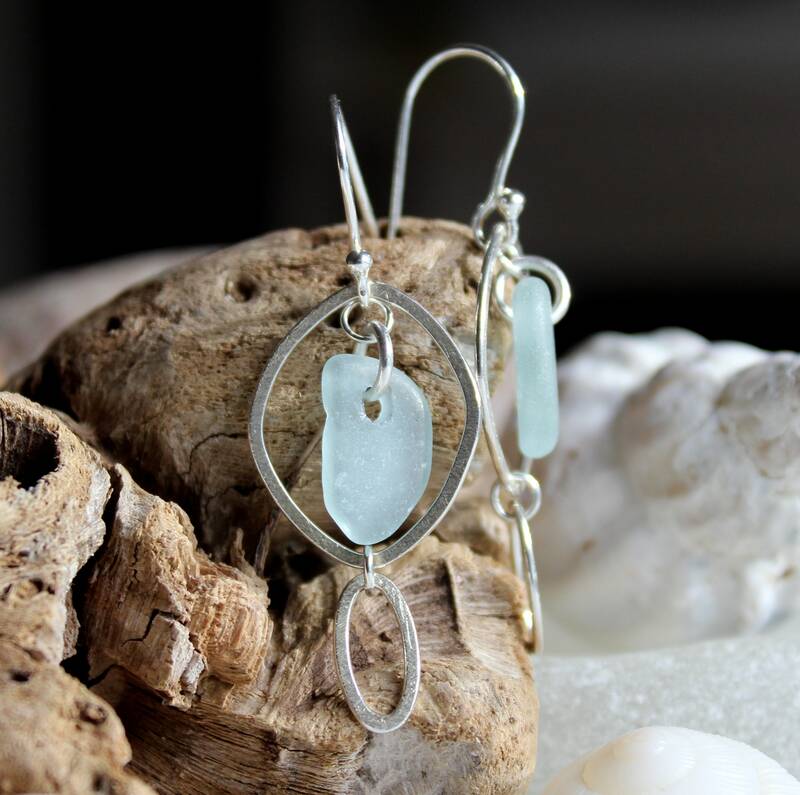 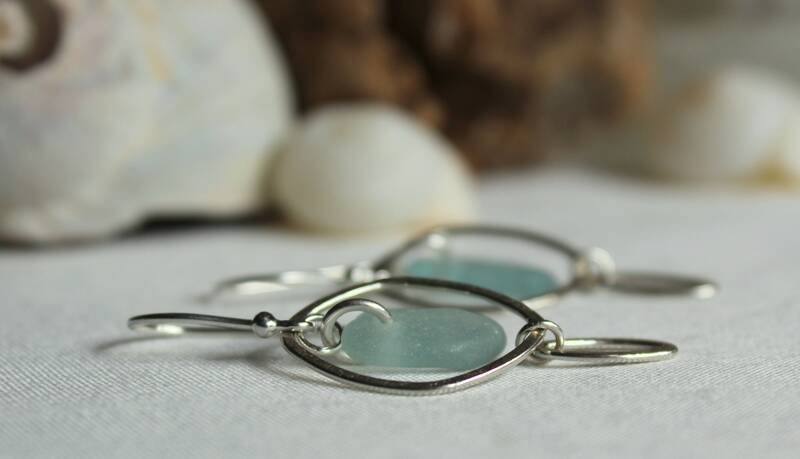 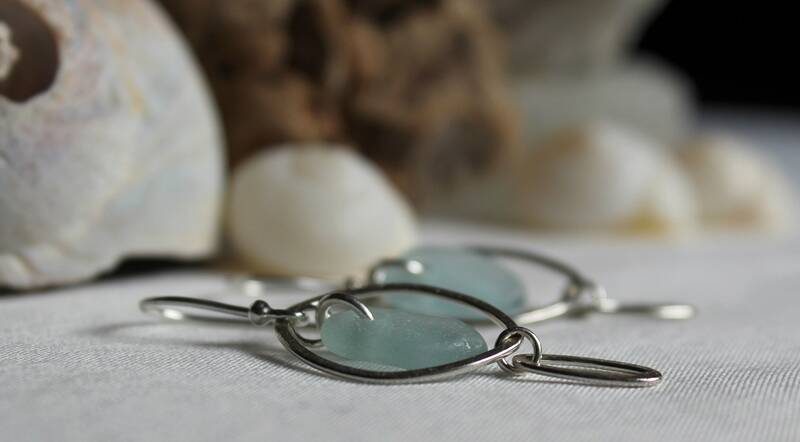 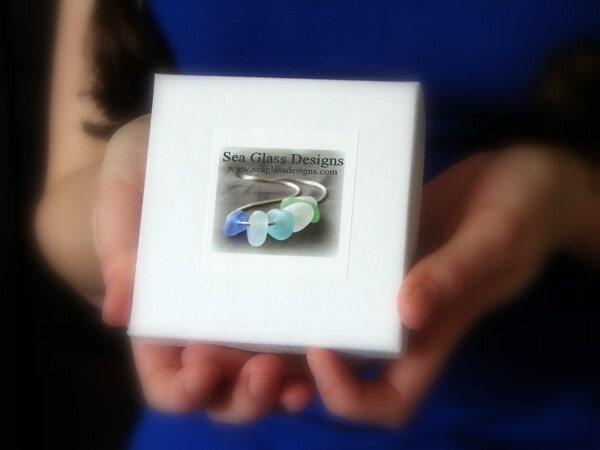 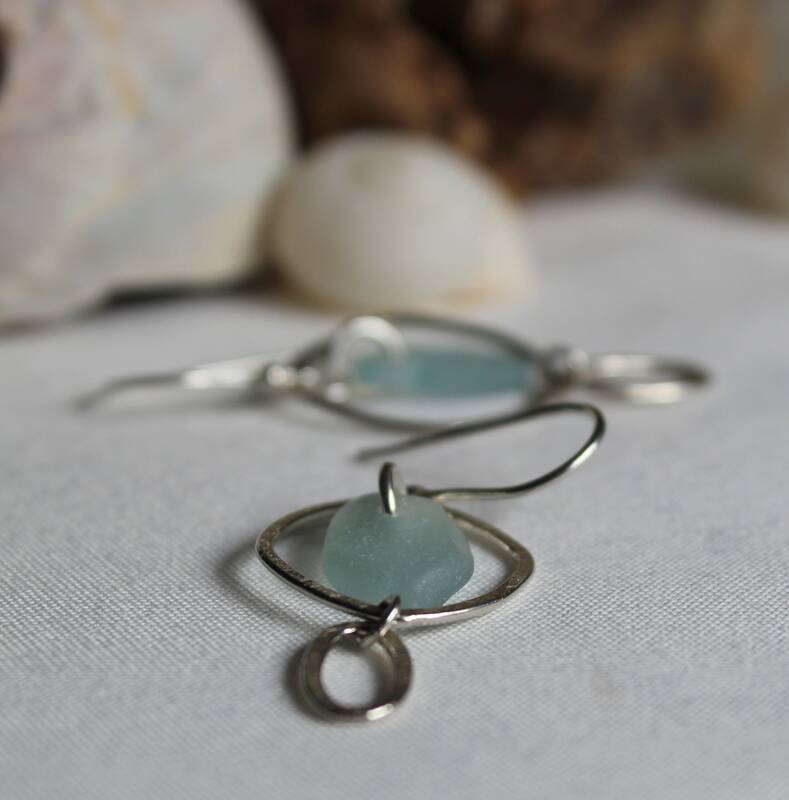 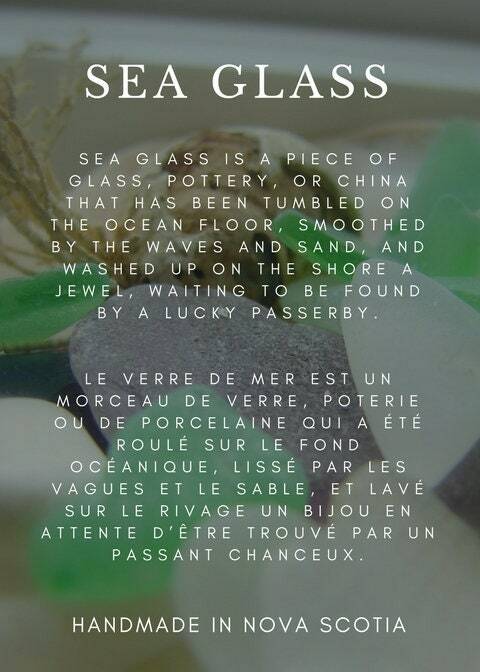 Our Silver Ocean sea glass earrings are crafted with little drops of genuine beach glass in soft aqua, framed in sterling silver and dangling from sterling silver earwires. 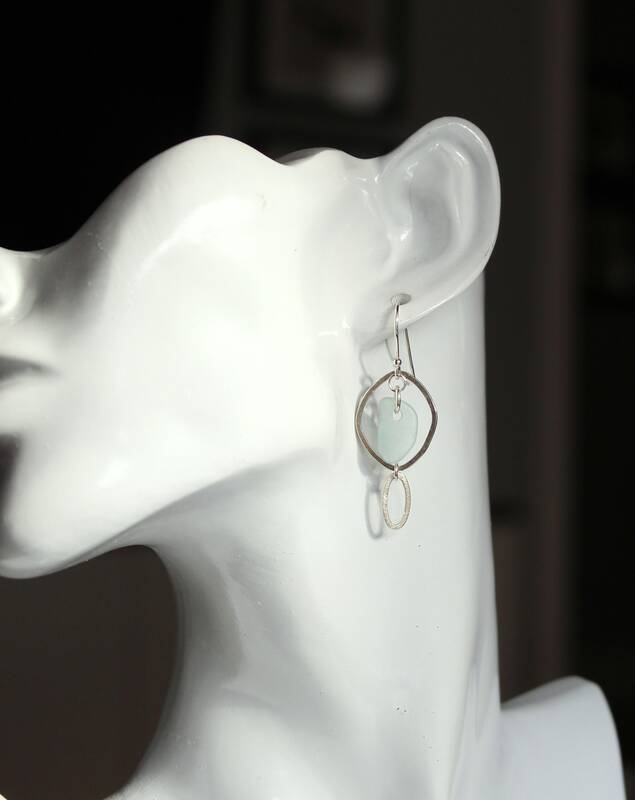 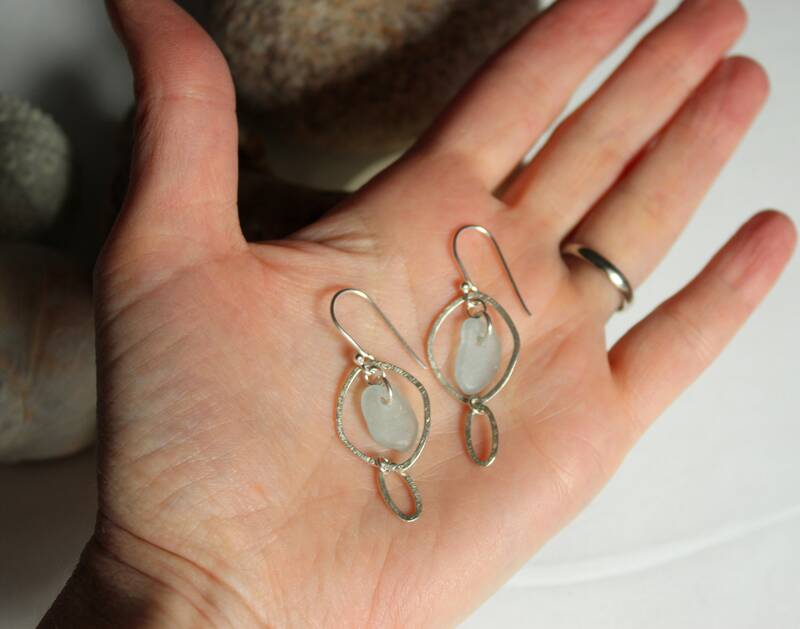 The earrings measure 1 2/3 inches in length. 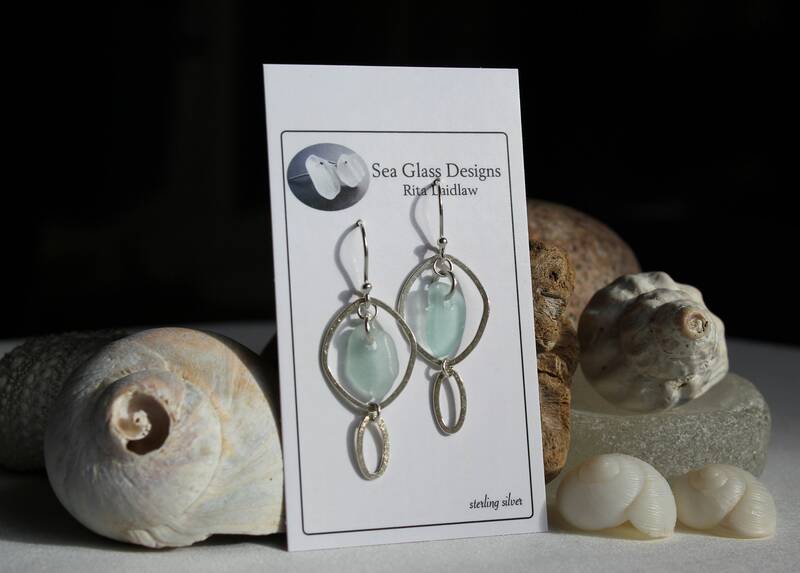 The soft colour and lightweight design makes these your perfect everyday earrings.